This program is a highly effective 12 week muscle building workout system that cycles between heavy days, intense workouts, and moderate to light weight training days. What I’m about to present to you is my 3 month plan for massiveness. It is a step by step, 12 weeks map to maximizing your muscle mass. I am not playing games here, and this is not hype. This system will work if you follow it. This system can be used with virtually any split, but I believe a 4 day split should be used for maximal results. The Maximum Muscle Building System utilizes 4 different styles of training, rotated over a 4 week (or 6 day cycle) period. Week 1 - Heavy week, focusing on 5-7 rep sets and the use of compound exercises. Week 2 - Intensity week, focusing on the use of slow negatives, training to failure, pre-exhaust and drop sets. Week 3 - Medium week, focusing on the 10 to 12 rep range with a mix of compound exercises and machines. Week 4 - Light week, focusing on 15 to 20 rep sets and the use of isolation exercises. As you can see, weeks 3 and 4 are lighter training days. They provide your body with a working break and active recovery from the stresses of heavy training, while allowing you to challenge the body and build muscle. Please make sure that you have read the entire information from this app before beginning this workout plan. For optimal and permanent results repeat this 4 weeks bodybuilding system for 3 months. There is far more to building a muscular physique than simply following set-in-stone exercises, sets and reps, and you should not begin training until you fully understand all of the different aspects of building muscle in relation to training, nutrition, supplementation, recovery etc. IF YOU WANT TO BUILD MUSCLE YOU HAVE DEFINITELY STOPPED AT THE RIGHT FITNESS APP. THERE IS MORE THAN ENOUGH MUSCLE BUILDING TIPS HERE TO HELP YOU BUILD MUSCLE FAST. 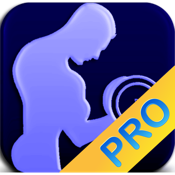 This BODYBUILDING App is for those who want to build a muscular physique and build huge muscle fast. Anyone can build muscle fast if given the right information to do so. To build muscle fast is tough because there is a lot of bad information out there. However the information on this app will help you to build muscle fast so be sure to read over the entire site. To build muscle fast is not as simple as going to the gym and lifting weights. There are several factors that you need to be aware of that will influence the hard work you put into the gym. These factors include eating the right foods, consuming the right amount of calories for your body type, get the right amount of protein and carbs for your body type, performing the right exercises, lift the right amount of weight while performing the exercises, get the right amount of rest, do the right amount of sets and reps, drink enough wate, what supplement to take or do I have to take supplements, use correct form when performing the exercises. This is the ultimate guide to packing on muscle mass. Learn how to eat, what supplements to take, and how to train. Every set is detailed! Sit down, and listen up. I’m going to train you. You will get big, and you will get strong. But you have to do exactly as I say. Ready? Of course you’re ready! Well then, what are we waiting for…let’s get lifting. If you encounter any problems, have any questions, or any suggestion make sure to visit our website.